Are you wondering when your AdSense payment will arrive? Trying to figure out whether you'll be paid this month, or next month? Aamar ekta question chilo. 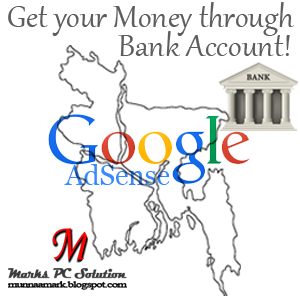 Bank Account Name ki Adsense e jevabe naam deoao ache sevabe hote hobe (For example: Adsense e amra MD er por (.) use korte pari naa) naki ekta hole hobe? In your AdSense Account, maybe you can use (.) in the Payee Name. And AdSense A/C Name and Payee Name can be different. So you can use . in Payee name, since your bank a/c contains (.). I learned that Google has has stopped bank payment service recently .. is it true?? How do you getting payment now? No buddy. Google just start paying through bank account recently. If Google stops this, you will not get the bank account details form in your payment option. And I've hold my payment. Because I failed to receive my first payment due to transaction problems. AdSense says they are investigating. Now I'm waiting for the Western Union to be started for Bangladeshis. i given Wrong Pin Code,and i received this massge " The Personal Identification Number (PIN) for this account has been incorrectly entered three times. As a result, ad serving and account access have been suspended. To regain access to your account and resume ad serving, please contact us". So what should i do.i can't work here...... PLEASE HELP ME.My Email Id is usmansafdar55@gmail.com . Have you got the PIN number letter? Google sent me their payment mail in my inbox. but I don't get it in my bank account. now what should I need to do? What is your bank's name? At the first time I faced the same problem. My money backed to Google that time. Later they fixed the issue. Now I get paid in my bank (Uttara Bank) regularly.